In a little more that 24 hours RIM will launch their BlackBerry 10 OS, and they have now revealed some more information about the platform and their partners for movies, TV shows and music content. 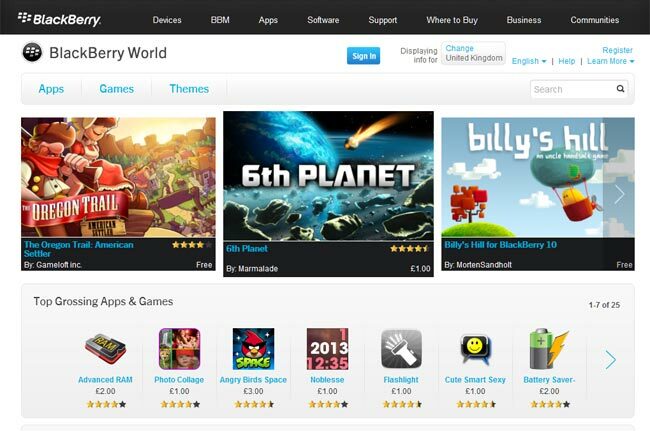 RIM recently renamed their app store to BlackBerry World and announced that it would feature music, TV shows and movies as well as applications and they have now announced who will be providing the content for BlackBerry World. The new BlackBerry World will include an extensive catalog of songs as well as movies and TV shows, with most movies coming to the store the same day they are released on DVD, and next day availability of many current TV series. The competitive offering will feature content from all major studios, music labels and top local broadcast networks. Some of RIM’s content partners include 20th century Fox MGM, Paramount Pictures, Walt Disney Studios, Sony Pictures Home Entertainment and many more.